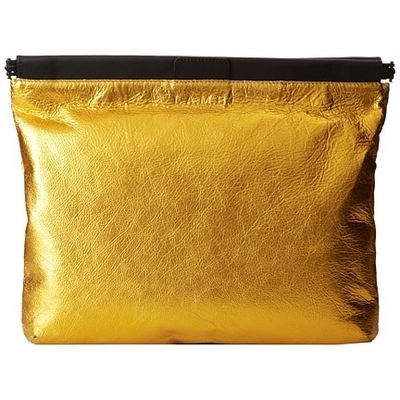 This oversized clutch will set the tone for your entire ensemble, modern simplicity. ; Made of leather. ; Magnetic closure. ; Signature logo embossed detail in front and back. ; Lining made of fabric. ; Interior back-wall zip pocket. ; Two interior slip pockets. ; Imported.